First, #ASDASummer sent me meat. Then they sent me cake. The third time I heard from them, they sent me cheese. And this final time, they sent me delicious picnic food. 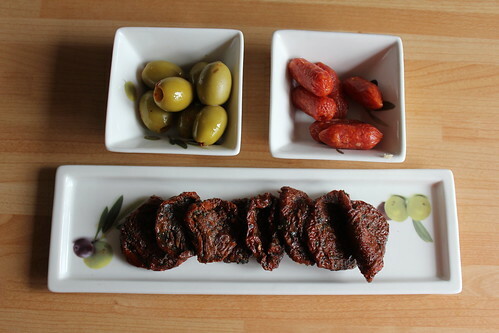 You’re looking at Greek green olives with chilli and lime and piri peppers, spicy pork salami bites and sundried tomatoes with Italian grana padano, garlic and herbs. YUM. 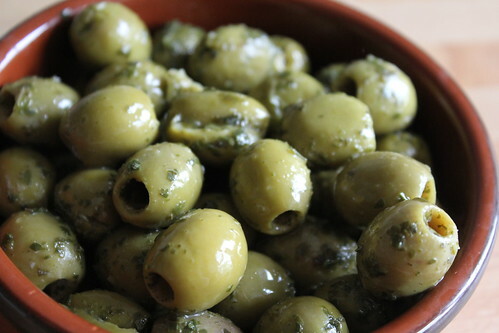 Although Garry was more a fan of these Spanish pitted green olives with lemon oil and herbs. That boy really loves olives. 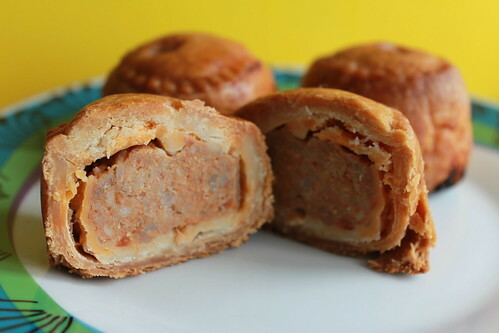 And my favourites were, without question, these AMAZING mini chorizo and pork pies. I had three to myself, and that just wasn’t enough. I want more. This selection was delicious, but not enough for a picnic. I needed to think of something to supplement it and, continuing the mini theme set by the pork pies, I went for these. 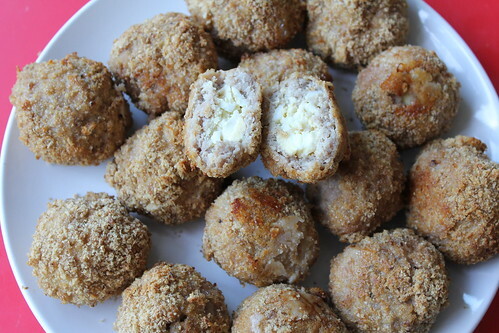 Mini scotch eggs. Now, there are plenty of scotch egg recipes out there, but you know me. I like making healthy versions of things when I can. 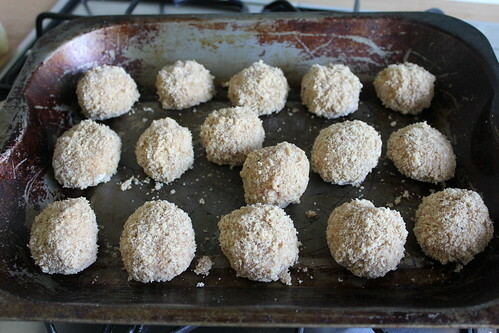 So rather than fry my scotch eggs, I decided to bake them. They taste just as delicious, and won’t make your mouth feel greasy afterwards. As an aside, this is an incredibly easy, incredibly messy recipe — which makes it perfect to make with kids! 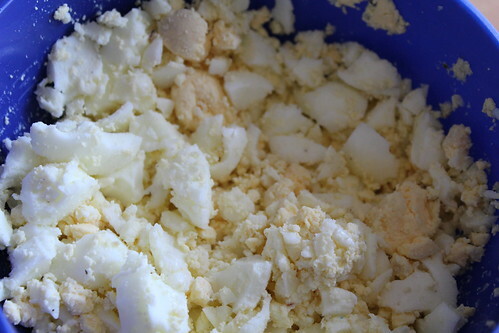 You start by hard-boiling eggs and mashing them up with salt and pepper. 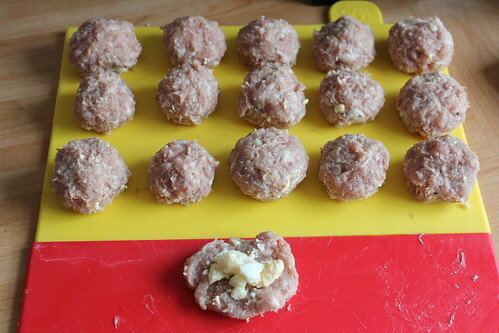 Then you make little discs of pork meat, add a teaspoon of egg to the middle, and roll into a ball. …and bake into little balls of taste explosion. Really loving some of the Adsa goodies I am seeing on a few blogs. I am not a fan of pork pies but I have never met a scotch egg I didn’t love… May have to give these a cheeky go. Ooh I love a pork pie and a scotch egg, me. They must be my favourite picnic foods. I love the look of your healthy take on a scotch egg. I’ll have to give the recipe a go. Oh my giddy aunt these look amazing, I will have to try them! OH A BIG THANK YOU AND A HUG!!!! We have a huge New Year’s Day party every year. 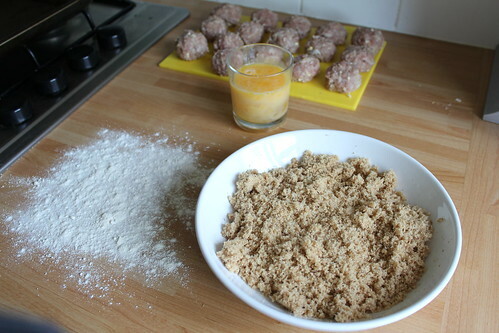 I want to make Scotch Eggs — but making them with Large, Extra Large or Jumbo eggs makes them so big! I have looked everywhere for small eggs. No such animal anymore! Looked at the already cooked and peeled eggs at some of the stores and this just does NOT appeal to me! Seems like they would be old and tough and who knows how long they’ve been in the refrigerated case. Hard boiling and chopping the eggs certainly does solve this problem. NOW – you don’t have the visual appeal of the whole egg when you cut them in half — but everything’s a trade off, huh? (HEY – maybe I could hard boil them — cut them in half and THEN wrap them in sausage. Problem here is you wouldn’t know where to cut it in half to get a little of the yolk AND the white in equal portions. Maybe shaping them in the oval then cutting in half the “long” way). In any case – THANK YOU AGAIN for this option! None taken, but I try to make sure that my recipes are all achievable for people who only have, say, an ASDA or a Morrisons and quail eggs aren’t always in supermarkets like that. People can always use the base recipe and substitute chopped eggs for quail eggs if they wish.